Light that's ready when you need it! Crank up the power and be ready for any power emergency. 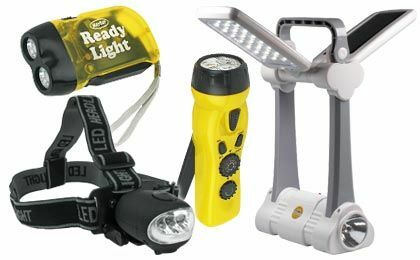 Provide light in an emergency and power your cell phone or other communications devices with these top quality multi-source flashlights. Using solar panels, dynamo cranks as well as traditional batteries these unique multi-purpose devices can keep you well lit and in touch with the outside world.